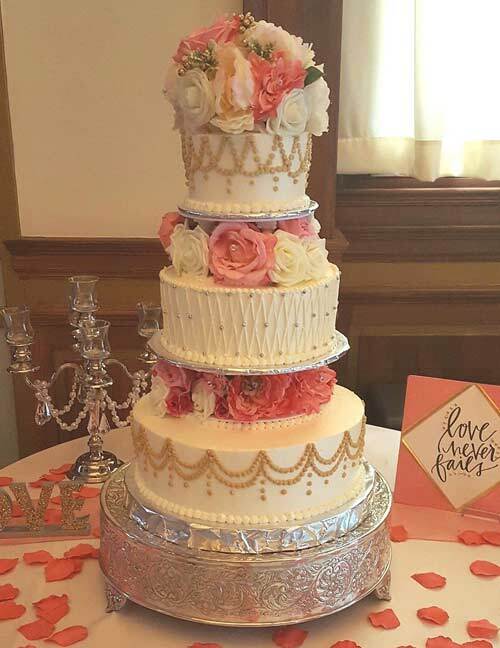 Chef Dan and his daughter, Pastry Chef/Cake Consultant, Alicia Schuster, invite you to taste their beautiful Cakes and Desserts for your special day. 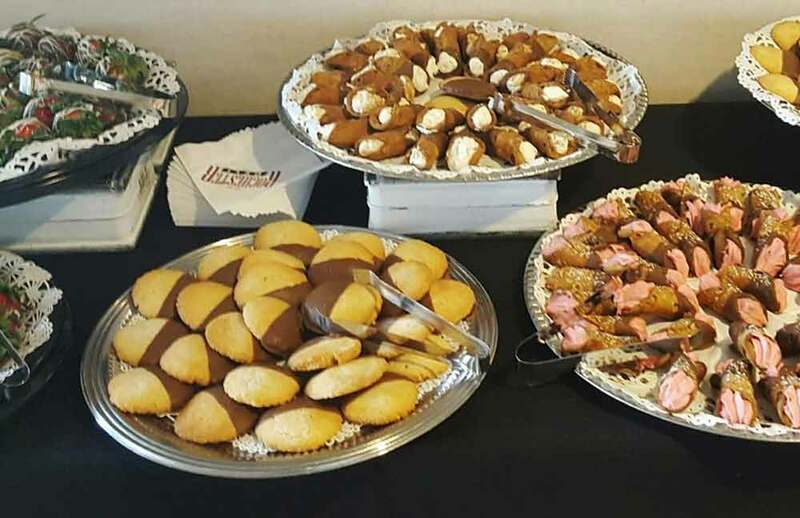 Signature recipes include whipped buttercream, flaky fruit filled pies, decadent chocolate ganache, signature dessert bars and our popular Ribbon Torte. 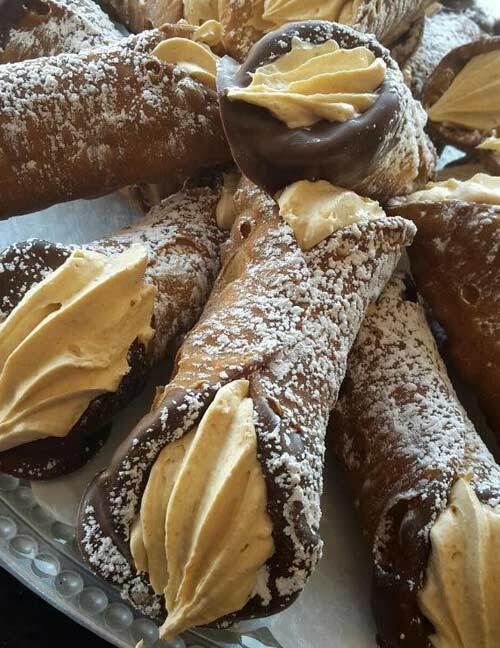 Ingredients are of the finest quality - our Desserts are never frozen. Uniquely small, yet offering excellent service to many delivery locations. Send inquiries to cakes@rochesterdeli.com, or 262-522-9613. Please be sure to include your venue to confirm delivery. Cake tastings are by appointment only and offer a meeting with Alicia, our Cake Consultant and Pastry Chef . We hope to be part of your special day! To guartantee your wedding date we recommend you book at least 6 months in advance. A 30% deposit is required at booking. Balance and final guest count is due 2 weeks prior to your event. All deposits are forfeited for cancellations 6 months or less prior to your event. Delivery and setup is $50 within 15 miles of Rochester Deli, Inc. 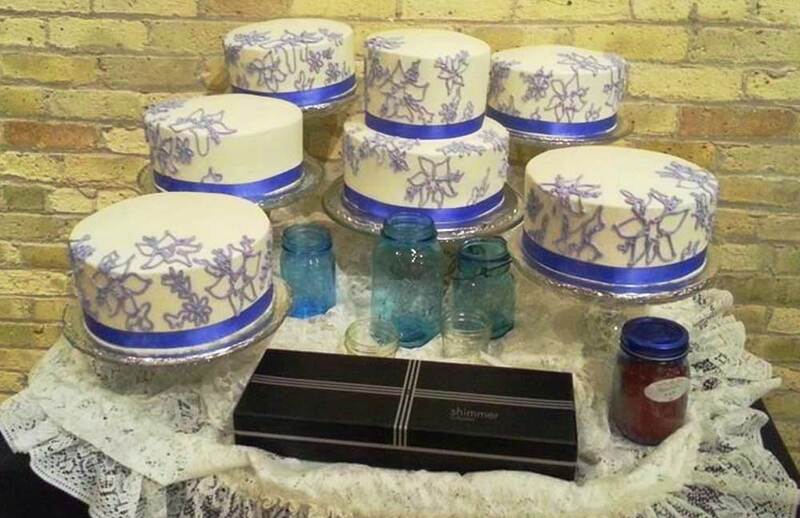 Rental item deposits and charges may apply for cake displays, fountains, platters, etc. All deposits are fully refundable for items returned in same condition within 48 hours of your event. 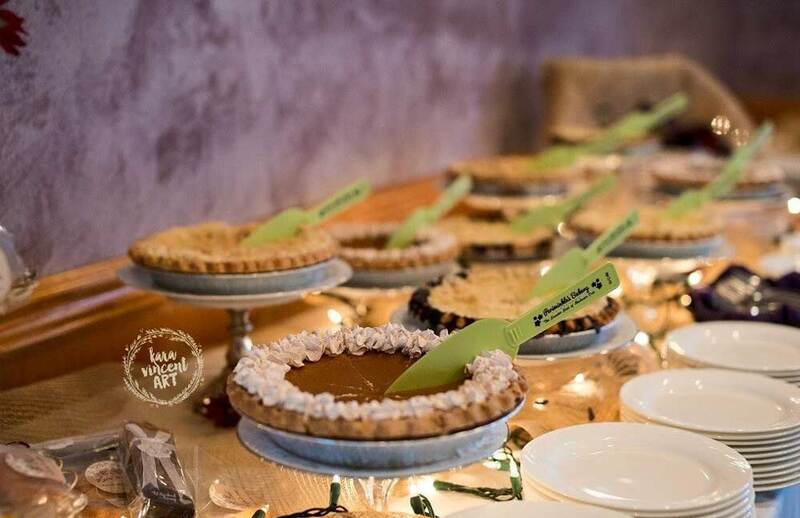 Visit Periwinkles Bakery on Broadway’s website to view our Pie and Signature Dessert Menus. Selecting a cake... be sure to ask the right questions. Do you specialize in a certain flavor? Yes, Ribbon Torte, our most popular combination! Alternating layers of yellow and chocolate devil’s food cake, milk chocolate mousse and chocolate ganache, iced with vanilla buttercream. Can you design a Wedding cake from a photograph? Yes, very likely, however, please provide a large, clear copy of your photo to determine cost and feasibility. Our signature cake designs are our specialty! 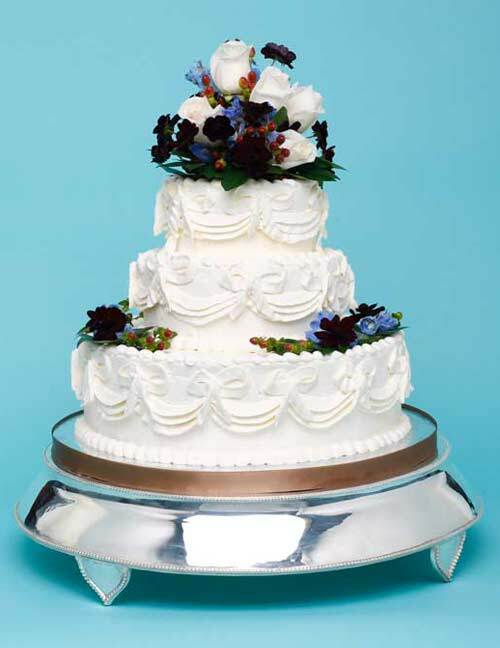 Can you match the cake colors to fabric swatches or flowers? Yes, color matching is possible, but some deviation may occur. Please provide color swatches or flowers as soon as possible. 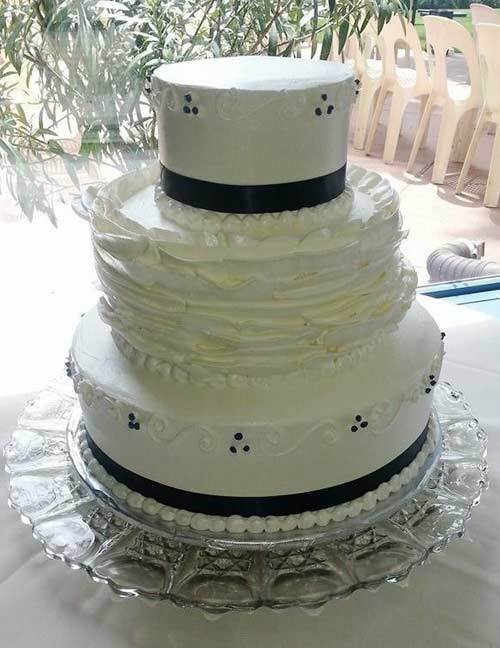 Our Wedding cake prices are by the slice and vary depending upon your flavor, filling and icing. Special requests for elaborate piping may be an additional fee. Please ask Cake Consultant, Alicia. The top layer of your cake is not included in your guest count. A box will be provided for this cake to reserve for your 1st anniversary. Please ask Cake Consultant, Alicia how to wrap your Anniversary cake for best results in freezing. 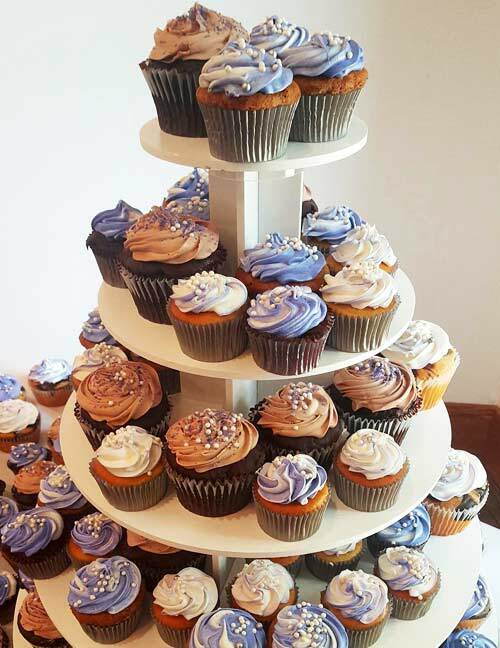 We have a 75 guest count minimum for our Wedding cakes. Will you charge for supporters or bases on the cake? Cake boards and supporters between the tiers are included in the cake price. Platters, stands, pillars, fountains, etc. are all additional items that can be rented for an additional deposit and rental fee. 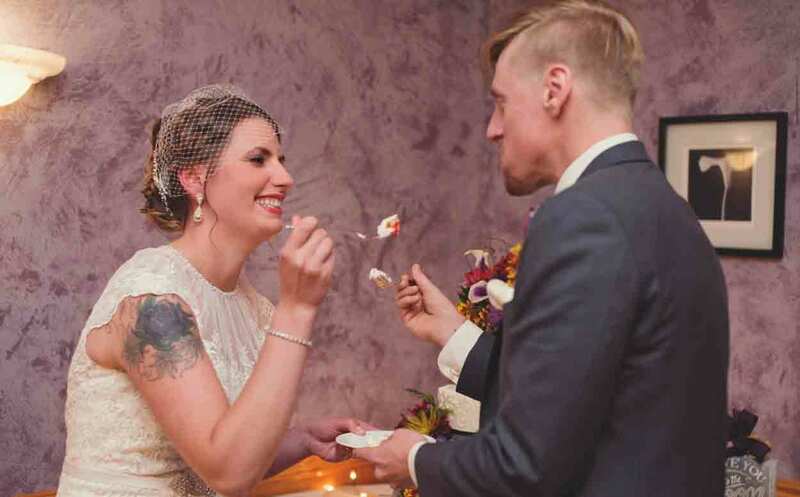 Cake Consultant, Alicia highly recommends 6 months, however, a deposit of 30% guarantees availability for your wedding date if that date is not fully booked. All deposits are forfeited for cancellations 6 months prior to event. Balance and final guest count are due 2 weeks prior to your event. 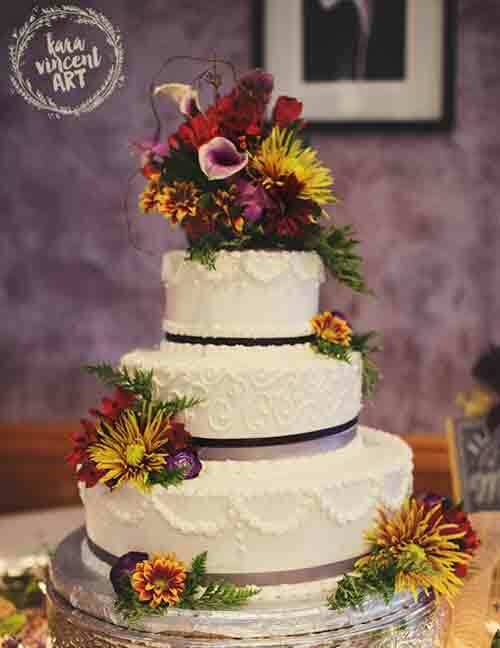 Rochester Deli books (3) wedding cakes maximum per Saturday to ensure special attention is given to your Wedding cake. 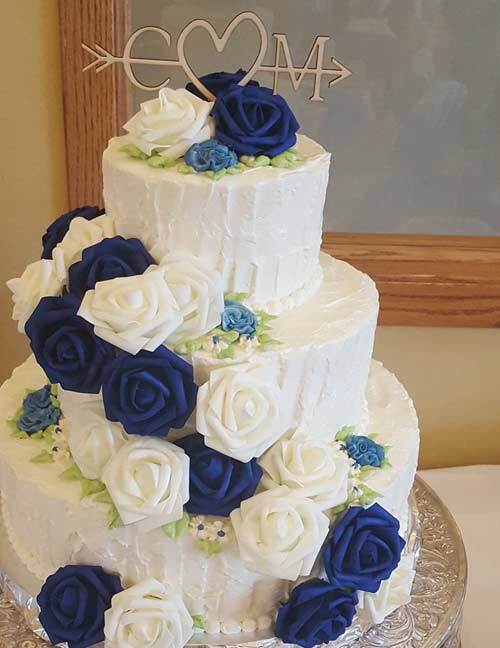 Rochester Deli does not offer “artificial display” rental cakes, nor Wedding cupcakes. 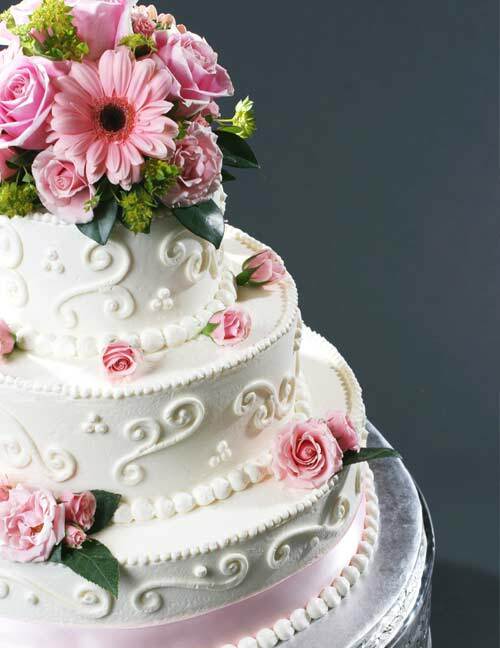 Our Wedding cakes are delivered approximately two hours prior to your event. 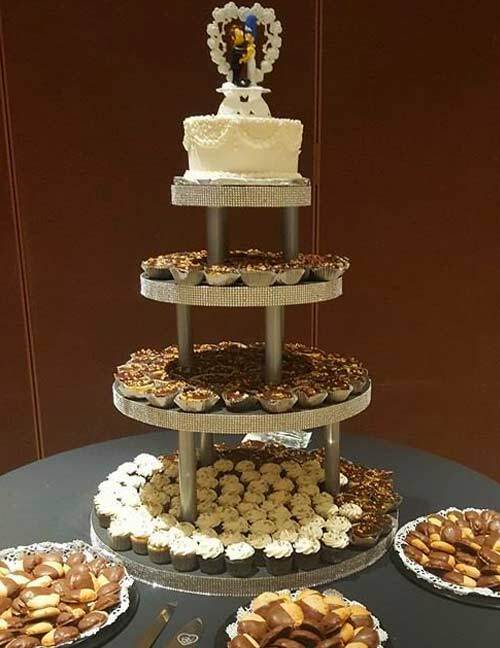 Be certain your caterer has a cake table ready upon delivery - thank you kindly! Thank you for considering us for your special day! Please call us if you have any additional questions.